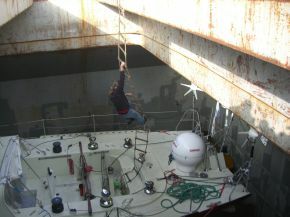 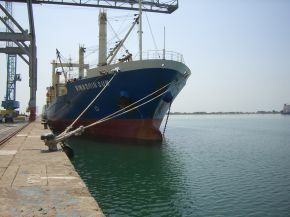 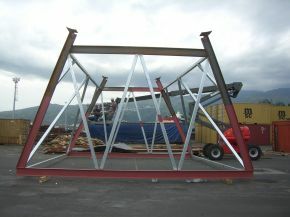 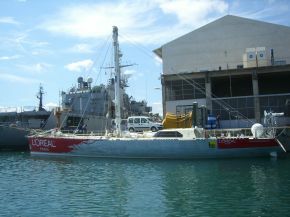 Freighte - To transport your leasure racing, commercial boat... Monohull, Multihulls, Race, Trimaran - The most beautifull! 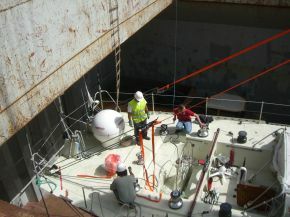 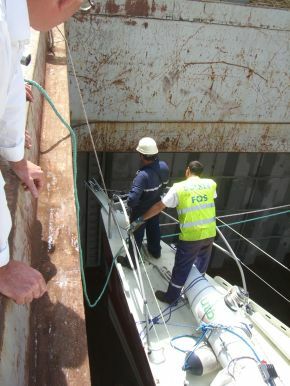 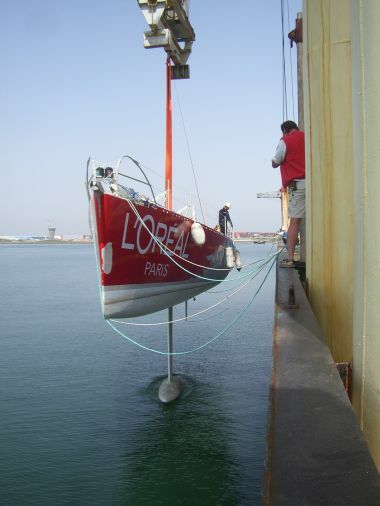 FREIGHT e COM moved LOREAL, splendid race yacht, from Reunion's island to Fos/Marseille back. 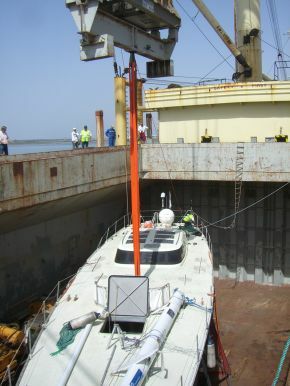 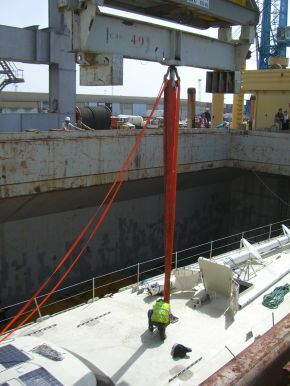 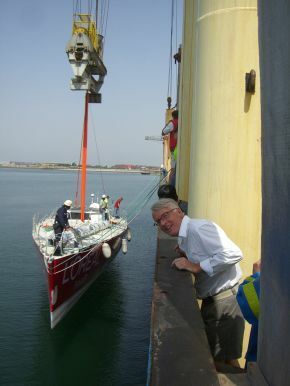 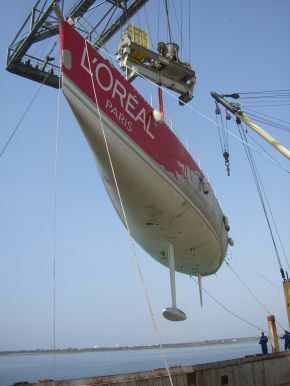 L'OREAL is waiting for the cargo, saving mast up ! 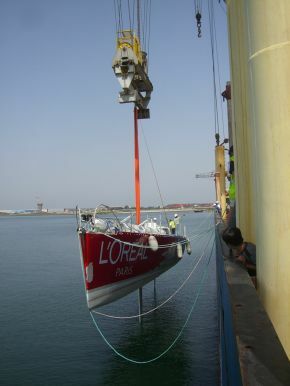 the yacht is slowly moving to the sea.